25 years. To this day, every deer he has ever arrowed have come from stands he scouted and hung himself, which is something very few in the industry can claim. At the same time, he still spends approximately 25% of each season hunting public lands open to everyone. Another 10-15% of an average hunting season is spent on what most would consider rather normal, smaller properties. That said, he is also extremely blessed to spend the other 60-65% of an average season hunting some of the best whitetail grounds out there. This do-it-yourself approach, when paired with hunting such a diverse quality of habitat greatly benefits his work producing how-to articles, seminars, and tips for various hunting shows. He can relate to most hunters and land mangers’ struggles and challenges, as he’s been right out there in the woods with them and forced to overcome the same challenges. Speaking of land management, Steve’s entry into the outdoor field began with the production of instructional bowhunting and habitat improvement videos, way back in the late 90s. Teaming with his brother, Joe Bartylla and highly respected retired Whitetail Research Biologist, John J. Ozoga, he produced 2 videos, before shifting into writing, seminar, TV and consulting work. Along with his diverse hunting experience, Steve credits 3 other factors in helping him most with his consulting activities. The first is his trapping experience. Beginning at age 10, he built his trapping abilities to the point that it paid for his way through college. This was his first experience with manipulating habitat and structure on the micro level to better suit his needs. It was natural to apply that land management for whitetails. Then, both his degrees in biology and cartography taught him how to analyze situations and read maps and photos, which Steve relies on heavily to this day. Finally, while attending school, he had a two-year internship working for a large seed company as a Plant Breeder’s Research Assistant. This both taught him how to conduct very controlled field trials on various plantings, as well as alerted him to the vast differences in traits between strains of seed. Steve sold his interest in the website in 2017 and is no longer active in writing plans. 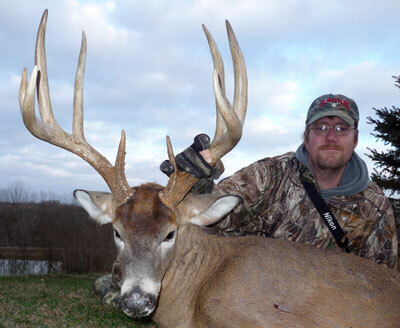 Jay has been chasing mature whitetails for over 30 years, and his experiences can benefit your property. He and Wyatt will help you realize your properties full potential. Step 1- Starts with 30 questions to gain an understanding of your goals. Step 2 -Wyatt will schedule a phone/web conference where they will pick your brain to learn about your property, the sorrounding property and the unique features your land holds. Step 3 – Jay’s team meets and uses all of that information to develop a plan with detailed instructions on the how’s/where’s/and why’s of the work to come. Let Jay Gregory layout your deer woods for maximum big deer potential. Your interactive map includes text and video training tools that allow you to successfully transform your property. Your finished plan includes stand access details, food plot locations, suggested plantings, social hubs, dictated bedding, blockades and travel corridors along with all the information you need to successfully manipulate your parcel into a smooth flowing productive hunting property. The plan will show up via email, and a follow up video conference is scheduled to answer any questions and make any final corrections. I grew up deer hunting in southeast Minnesota from the age of 12. I dairy farmed for a number of years through high school. My family owned a large amount of ground in Minnesota and we tried to “manage” it growing up, with some success. After going to college for dairy science for a year I was offered a job guiding for Sugar Creek Outfitters and decided that the farming industry just wasn’t for me anymore. I guided there for 3 years, helping with most all forms of management in the off-season on the properties. I was then given the opportunity to manage an 1800 acre property in western Illinois in 2012, I took the position and have been here managing the property full time, ever since. We have a very strict timber management program here on the property and have been able to manipulate the timber to make the deer do just what we want them to, it’s been truly incredible.